We often think of global media celebrity as a modern (late 20th century) invention. Not so, as I was reminded reading Gideon Haigh’s book of cricket articles, Inside Out. The combination of telegraphy and the mass circulation newspaper, together with the the rotary press and the roll film, created the phenomenon in the 1930s, as Daniel Boorstin observed in his book The Image. Haigh, an Australian who’s one of the best cricket writers in the world, is interested in this because of the career of Donald Bradman, a batting phenomenon whose prowess was identified young. Bradman, notes Haigh, ‘took England by storm’ in the Ashes Tour of 1930, when he was 21. He’d already signed up with an agent to write a book, and when extracts appeared in the British papers during the tour (in breach of Bradman’s touring contract) he was censured by the Australian Cricket Board. During that tour, the Australians found themselves staying in the same hotel as the aviator Amy Johnson. At the time she was “perhaps the only non-royal person more famous in the Empire than Bradman after her 19-day flight from London to Darwin four months earlier”. Johnson had sold her story to the Daily Mail, and was in the middle of an exhausting publicity tour organised by the paper. 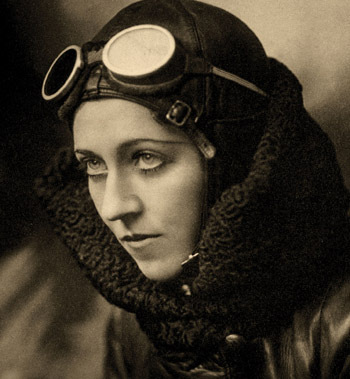 As Haigh writes, “her identity as ‘Amy Johnson’, she complained privately, had become ‘a nightmare and an abomination’. Shortly afterwards, apparently on the edge of a nervous breakdown, she checked into a Harley Street clinic. The American aviator Charles Lindbergh fared even more badly. After his successful solo flight in 1927 across the Atlantic, he could not cash or send a cheque, or send shirts to the laundry, as neither would be returned. Matrons in St Louis fought over a corn cob he’d chewed (shades of Justin Timberlake). He had to marry in secret, leaving the ceremony hunched in the back of a friend’s car, while a decoy led the press to a false destination. Honeymooning on a yacht a week later, he and his bride were buzzed by a seaplane with a photographer dangling out of the window. Later, of course, he reached the dark heart of celebrity when his son was abducted and murdered. Haigh’s question, I think, is why none of this happened to Bradman. The reason seems to be that he maintained an old-fashioned lifestyle and philosophy in modern times. As a player, he was always fairly formal – sometimes to the point of prickliness – in his dealings with the Australian Cricket Board and others. During his career he moved to Adelaide, out of the mainstream, and lived there in the same house for the rest of his life. He married once, and stayed married. And although he remained involved in cricket, his work was outside of it, as a sports goods dealer and a stockbroker. Haigh quotes the work of the economist Tyler Cowen, who calculated that, contrary to expectations, the famous are likely to die younger than rest of us. They are more likely to die from heart disease, kidney failure, addiction, or alcoholism. “Fame”, says Cowen, “tends to be bad for the famous”. Bradman’s lifestyle had its own rewards, He lived to the age of 92. Next Next post: The future of sport? makes Cowen sound like a typical economist, knowing the cost of everything and the value of nothing! What about the qualitative ‘value’ of fun that fame may also bring, albeit at the cost of quantitative longevity?